Learning how to deal with sadness challenges everything you think you know about feeling sad. You may believe that sadness ruins happiness, but — as these uplifting quotes about sadness show — that can’t be further away from the truth. You need to feel your sadness just as much as you need to feel your happiness. It’s time to work towards a new goal: opening up the possibility of making sadness your friend. Like a skillful teacher, sadness hopes to reveal the beauty of a difficult subject by challenging all your assumptions. 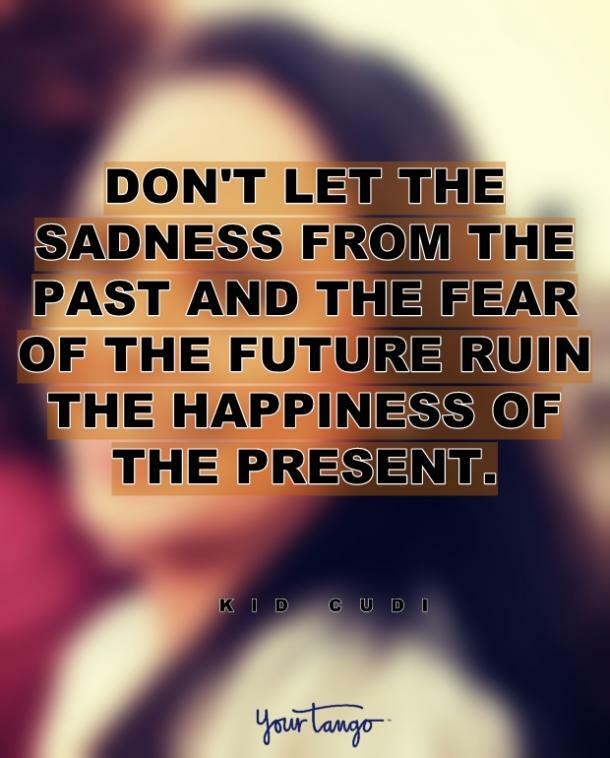 This doesn't mean that you need to feel sad all the time! 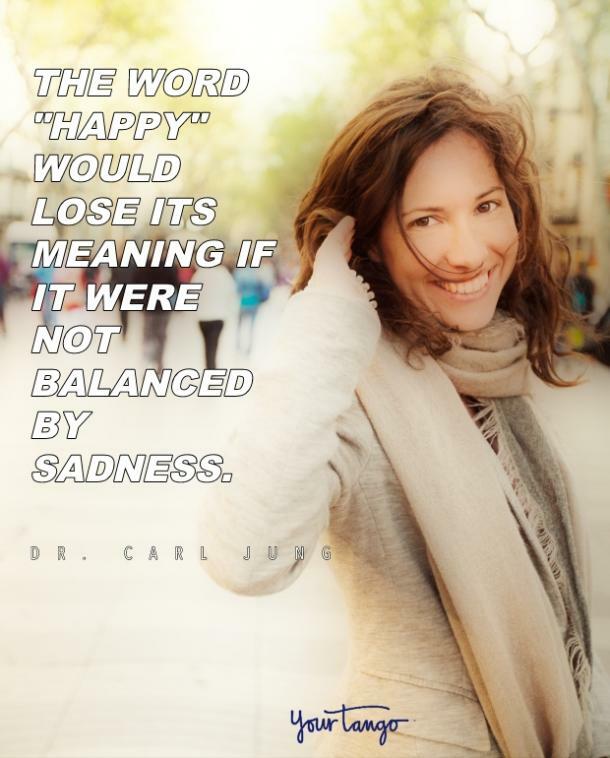 But you can use your experience of sadness — along with these encouraging, inspirational quotes — to completely transform your views on happiness. When you're feeling sad and need of words of comfort, here are 7 of the best uplifting quotes that will not only help you deal with your sadness, but lead you to happiness, too. I worry about things I can’t control. Honest. It’s one of the hardest things in my life. And because I’ve been doing it for so long, I’m too good at it — it’s a habit that’s tough for me to break. 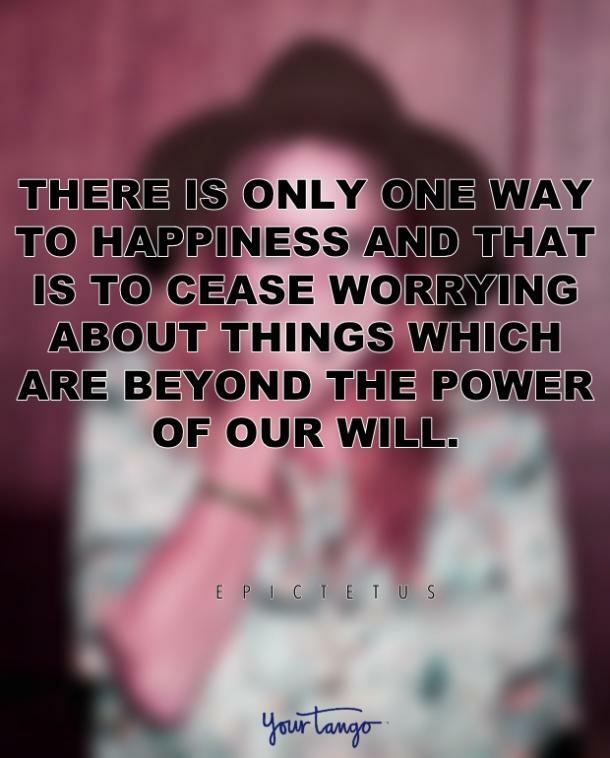 The Greek philosopher, Epictetus, is very direct about this: If you can’t control it, don’t worry about it. It’s almost like the song "Don’t Worry, Be Happy" by Bobby McFerrin. Can it be that easy to be happy? Marcus Aurelius, a Roman emperor from 161-180 A.D., ought to know a lot about dealing with feelings of sadness, because he ruled over the Roman empire during it's fall. Despite having made many accomplishments during his time as Emperor, his kingdom — the center of his world — was completely crumbling around him. Yet, he found happiness by simply focusing on it. Bottom line: Change the way you think and what you focus on. I wanted empathy, and you give me Jung? Yes: The universe is dualistic: good/bad, light/dark, happy/sad. But move out of your mind and into your heart, please. Your heart is where it hurts. Then it's easier to have those songs around. 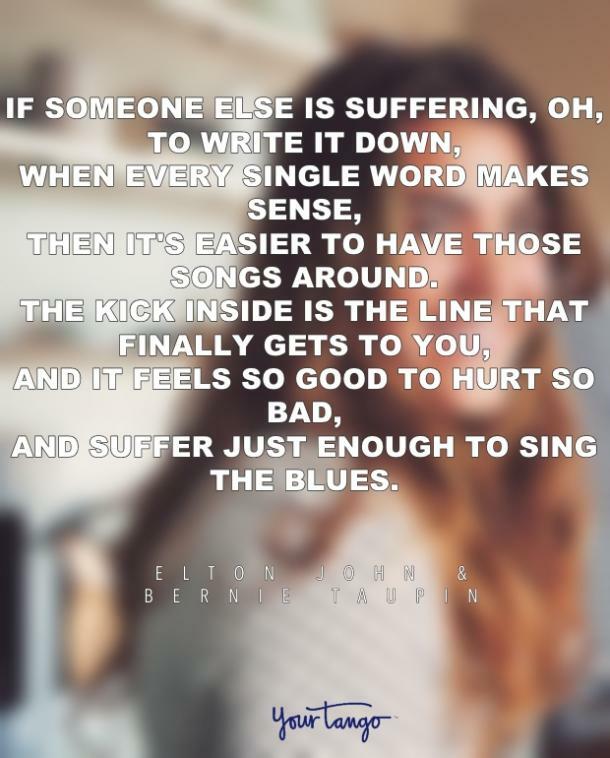 This song makes the case for feeling bad on purpose: It can feel so good to hurt so bad. The trick is suffering just enough to learn the takeaways your sadness can teach you ... but how much suffering is enough? No one wants to hang with you while you’re living in the past or worried about the future. It takes discipline to stay present, especially when your present gets messed up. A lot of our resilience comes from relationships that have either ended or need to end. 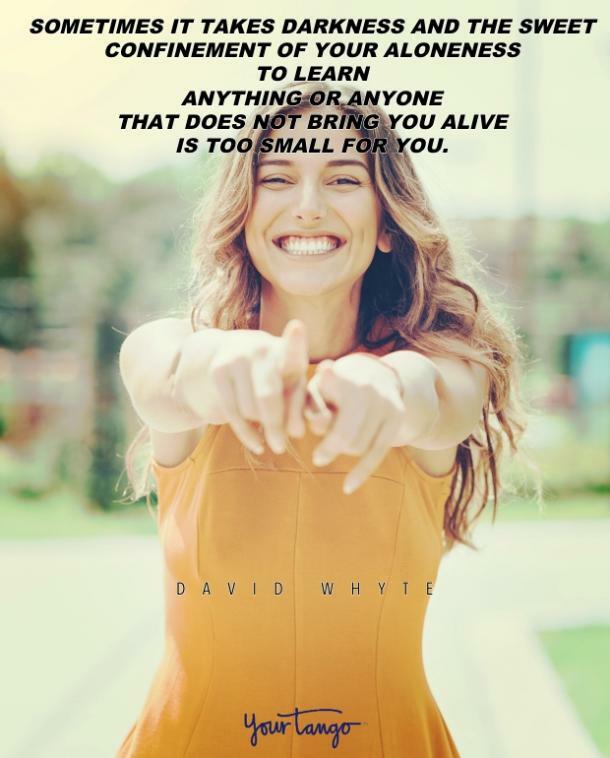 Author David Whyte offers gentle assurance that, even in grief, there is treasure waiting for you. But why does waiting out that grief so often happens when we're alone? How do you overcome this loneliness? How do you reconnect with happiness? Yes, you can silence your worry with willpower, welcome the balance of universal tension that gives your universe its richness, allow the music of grief to play, and stay rooted in the present. That’s a pretty good recipe to reliably get out of your head and into your solitary heart. But the real work — the transformation of sadness to joy — begins when we accept the treasure of our aliveness and seek joy for others. Others; not ourselves. Each of these uplifting quotes is about you, not the author. Each one is about your happiness. Are you solitary, worried, sad, afraid? Good. You are perfectly ready. 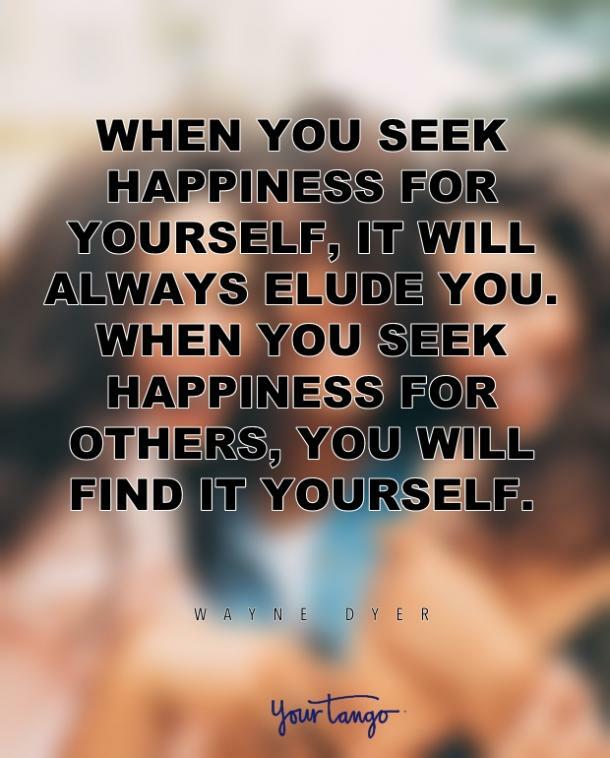 Now, here’s your assignment: To be happy yourself, first seek happiness for others. Bill Protzmann is a speaker and life coach. To supercharge your process in dealing with sadness, visit Practical Heart Skills. This article was originally published at Practical Heart Skills. Reprinted with permission from the author.